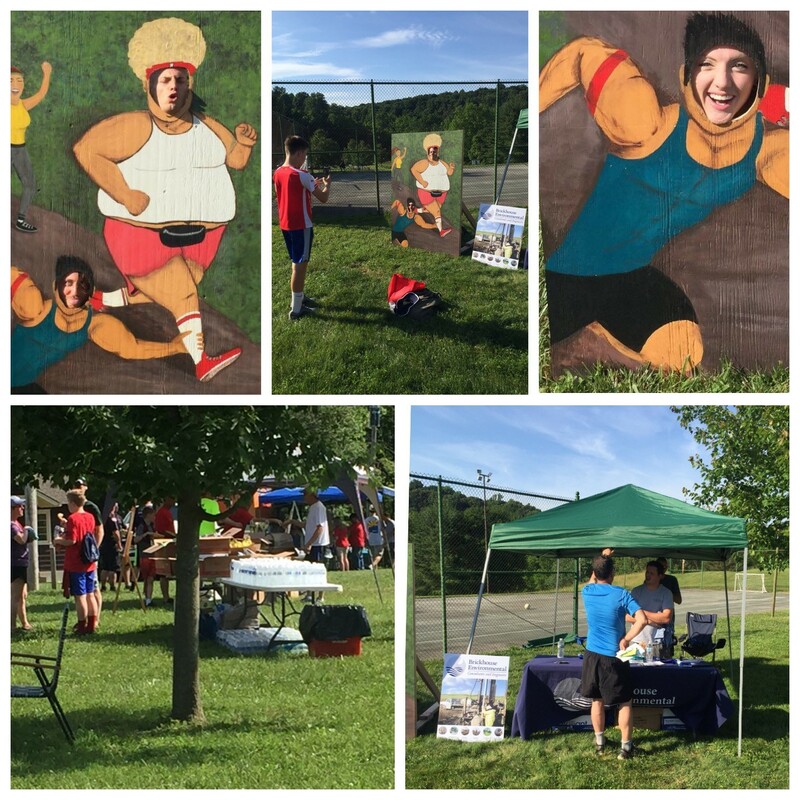 The Brickhouse Team had a great time sponsoring the Trail Blazer Run & Family Fun Hike again this year! We are happy to support East Bradford Township’s Public Trail Program and extend our warm thanks to everyone who participated and volunteered in the event. Cheers to all you Trail Blazers! Brickhouse Environmental is a proud sponsor of this year’s 7th Annual Trail Blazer Run & Family Fun Hike. Proceeds benefit East Bradford Township’s Public Trail Program. Please join us to experience exclusive access to Paradise Farm Camps’ extensive trail network, which traverses 600 acres of scenic natural resources. The running and walking courses take participants on challenging – yet enjoyable – paths meandering through the woodlands and meadows of the historic camp, which originally opened in 1913. For the last 20 years, East Bradford Township has been a leader in open space preservation and trails development. 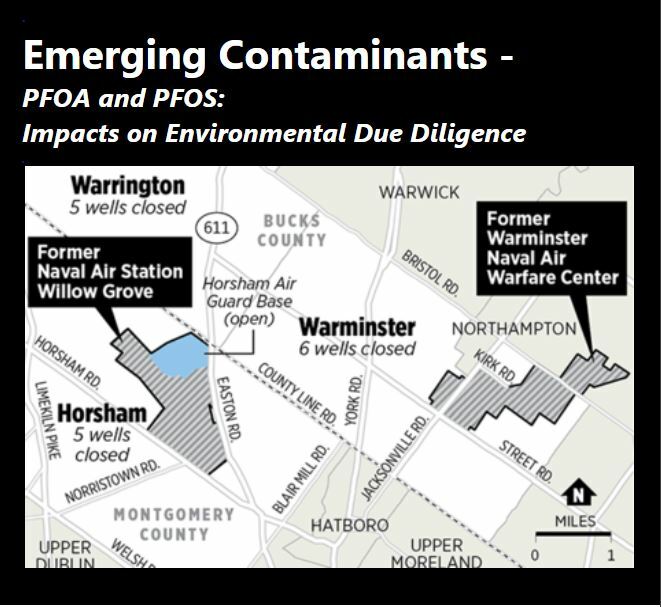 Today, the Township owns over 700 acres of land and maintains roughly 25 miles of trails, including the popular Brandywine Trail, located adjacent to PA Rt. 322 between Downingtown and West Chester. 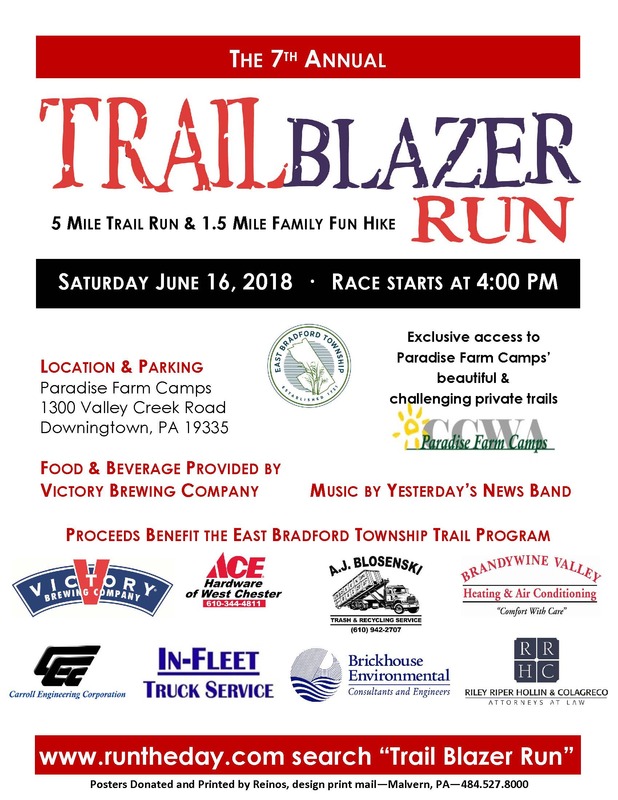 Seven years ago, East Bradford Township began the Trail Blazer Run to build community support for public trails and raise funding for trail improvement projects. In the past seven years, the event participation has more than doubled, from approximately 140 participants to over 300. During that same period, gross revenue grew 175%, with sponsorship contributions accounting for roughly half of that revenue stream. Beyond dollars and cents, the Trail Blazer Run has grown to be a significant event for the Chester County community. Friends and family of all ages enjoy the energy and atmosphere of this unique event. Each year, Victory Brewing sponsors a party after the races, during which all participants receive a well deserved cold beer (root beer for minors) and the comradery of the other participants. Race day registrations are cash or check only; no credit cards.